January is becoming the month of surprises. If last year at this time we were surprised by the quality treasured The Banner Saga, now we have to say exactly the same with Dying Light, a game but has not made too much noise to be something covered and background because Avalanche titles that are coming, has managed to get us from the first minute to the last, without a doubt becoming the first major zombie game of the new generation. To avoid spoilers as much as possible, just say that the story takes us to the city of Harran, a city that is currently in quarantine following the outbreak of a virulent infection that is turning into zombies affected. There we will have to fight to survive while we discover a script that makes use of virtually every genre that you can imagine, so if you are used to this kind of story will not get surprise. Of course, this also has seemed something particularly bad, since exchange Techland has managed to offer a very elegant narrative and give you much rhythm to the frame to contextualize all our actions and thus make sense. Thanks to all this, the script manages to capture our attention and keep us entertained throughout the adventure, making us feel like the real protagonist. Turning now to what your gameplay, say that this is an open world game in first person with many touches and where the Parkour is essential. Therefore, we can move around the city of Harran freely, scaling buildings, climbing structures, jumping from rooftop to rooftop, etc., while avoiding the hungry undead devour us. One detail that has delighted us is how well it is implemented, system parkour, very realistic and "manual". Unlike most current games, this will not suffice us press a button and give it forward so that your character does everything automatically, so we have to be constantly looking for footholds and places that we can grab. Likewise, the jumps we have to plan them and calculate well (as long as our pursuers leave us, of course), and you may end up condemning bad given to a very painful death on the floor. In general parkour reminded us much to that seen in Mirror's Edge, though somewhat less complex without many options of motion (we don’t do things like run through walls or bounce from one to another). It also has some really good and inspired with touches of puzzle that force us to observe everything very carefully to find out how we can do to reach the place you want to go now. This high mobility that we have just also being applied to the fighting. While at first our repertoire of actions is rather limited, as we progress we will unlock movements of all kinds, including grips, keys, flying kicks, special moves, and so on. The vast majority of weapons we use to defend ourselves is melee and note that the combat system has been developed with them in mind. The beats are very strong, allowing sever heads and limbs with edged weapons to crush or break bones and skulls with blunt. The speed, weight and handling of each differs by type and all consume energy to attack us, so we have to be a bit unglued to recover and not lose our offensive force. Yes, we can give use is limited, as these are spent and are losing durability, having a maximum number of times before they can repair remain as totally useless objects. Moreover, in the second half of the adventure we will find that the firearms charge a major role. These have a devastating power (besides allowing to keep distances), although they have very little choice (rifles, pistols and shotguns) and its use is not particularly satisfactory, since it does not convey any sense of weight. As in Dead Island, the game also gives us the opportunity to improve our weapons and create objects with materials that we collect, something that gets inside each floor and we visit home to see if there is something that will help us or we can sell. We would also like to emphasize the importance of sound in the game. If shooting with a firearm, provoke an explosion or, ultimately, produce any noise (eg activated by mistake alarm of an establishment), we will attract the attention of zombies there near our area , so use a gun may not always be the best option and probably preferring to keep your bullets as a last resort. Another distinguishing features found in title cycle clock. When the sun illuminates everything, Harran will as our field, and we can move through it without too many problems and most of zombies that we will not be especially dangerous. The problem comes when the night time when the angry, a type of undead completely lethal, capable of hitting giant leaps and chase that will not stop until we get to give them the slip falls appear. As if this were not enough, the horrible screams emitting attract attention to everything that is in the area, so be prepared to run as if there were no tomorrow by little they get detect. Luckily, all over the map are scattered a number of shelters where we can sleep for the night automatically (or day, if we go to night phase), but to use them we must first secure a job which usually consists kill all the zombies that we find inside, blocking access and activate the electricity. Focusing on the design of their missions have a fairly conservative game and does not reinvent the wheel. Of course, as we have said before, all of them are well contextualized, so although it may at first be as "errand boy" (something that the protagonist own jokes and then conceals better), we will always have the feeling that what we are doing has its reason for being. In addition, situations that touch us overcome are sufficiently varied and different as to not get bored at any time and avoid any trace of monotony, something that also helps a good variety (not the original) of enemies that force us to adapt our strategies constantly. We also feel compelled to highlight their numerous side missions that do not fall into the easy way to put us orders filler and are committed to offering their own story lines related to the main story, which gives them a lot of interest while allowing us to know better city dwellers and their circumstances. Complete the adventure is a task that will take us 15 to 20 hours, as long as we focus only on meeting the story missions, so if you propose to complete 100% this figure can be doubled perfectly. We can not forget to mention your great cooperative multiplayer mode, allowing us to enjoy the adventure with up to three other friends (although beware, the final mission can only be played in single mode). From experience we have ever had fun playing the title is multiplied and, as is well implemented (feels like a natural addition and nothing forced) and allow us to even create competition for events and challenges, which gives you something more life to the games. Yes, in this way the game has also seemed to us a bit easier, as we will be more to deal with zombies and if we fall in combat our colleagues have a few seconds to resurrect. There is also a multiplayer game mode called "Be The Zombie" which initially was coming as DLC for those who reserved the game, although in the end it will be free for everyone. In it we embody a mutated zombie with powerful combat skills and able to move around the map with astonishing ease. If we put ourselves in the shoes of this being, we will be given the opportunity to invade the games of other players, as if it were Dark Souls. Once you get into one, our goal is to get 10 deaths, while our opponents will have to destroy three nests angry to expel the game. It is quite entertaining and very tight so you know offer good moments, but if we do not like, we can always set options to prevent invade us (leave us to choose whether we just want invasions night or any time of day) . 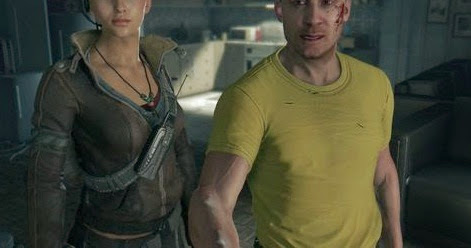 We are graphically with a fairly powerful title of the few that remind us that we are facing a new generation of hardware, with very detailed modeling, good effects, a very accomplished lighting, a very large city with many indoor and replete with elements (particularly the design of Harran, very studied and consistent), a draw distance really distant and so on. Our only fault in this regard are found in some bugs (no more clipping than we'd like, but in general it's a fairly polished title), a facial animations that do not stand out too much and optimizing its PC version (which is what we played) somewhat improved. In an i7-2600K, with 16 GB of RAM and a graphics card NVIDIA GTX 980 (and the title installed on a hard disk SSD), the game has forced us to reduce the viewing distance to reach 60 frames per second, and even then, we have suffered certain specific lows at 30 and 40 fps, so we are convinced that they could have done more in this regard. The little bad sound we can say, because it has a soundtrack that knows hitting perfectly environment, the effects are outstanding quality (often get put the willies), with many famous actors of film and television, as we have already used in Warner Bros. games like Middle Earth: Shadows of Mordor or the Batman saga: Arkham. There are certain voices that creak a bit and they are not as good as the rest, but overall we cannot put hardly any hits. We will not deny: Dying Light we liked and we've had great from start to finish with its proposal. It is true that not revolutionize anything, that history will not take any awards and most things offered and we have seen before in other games, but all it does it does well and is set a round, solid and fun title (which ultimately is what it is). If you like zombies, open world games and have wanted a new generation audiovisual experience, the new Techland's a safe bet.